With Spelling Through Morphographs you can give older students the tools they need to learn to spell. Fast-paced lessons and a systematic review of every morphograph combined with a few simple spelling rules ensure that students master spelling strategies. 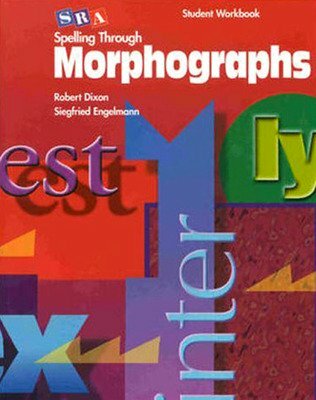 Spelling Through Morphographs is a remedial program, designed to give older students the tools they need to learn to spell. The program teaches a variety of morphographs - prefixes, suffixes, and word bases - and a small set of rules for combining them so that students learn a spelling strategy they can apply to thousands of words. Fast-paced lessons and a systematic review of every morphograph, combined with a few simple spelling rules, ensure that spelling strategies are mastered. 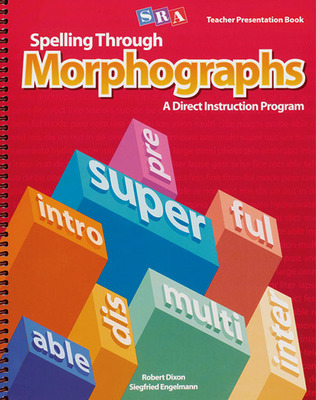 In the first half of Spelling Through Morphographs alone, students learn over 252 morphographs and the rules needed to spell over 3,000 words. By the end of the program, they learn over 500 morphographs, and are able to spell over 12,000 words. And the fact that morphographs have meaning not only helps students remember their spelling, but it also helps them figure out the meaning of unfamiliar words.